Each month, your Library hosts a wide variety of special programs. From puppet shows for little ones, to teen nights, to cooking workshops for families, to job search support for adults, it's all here. 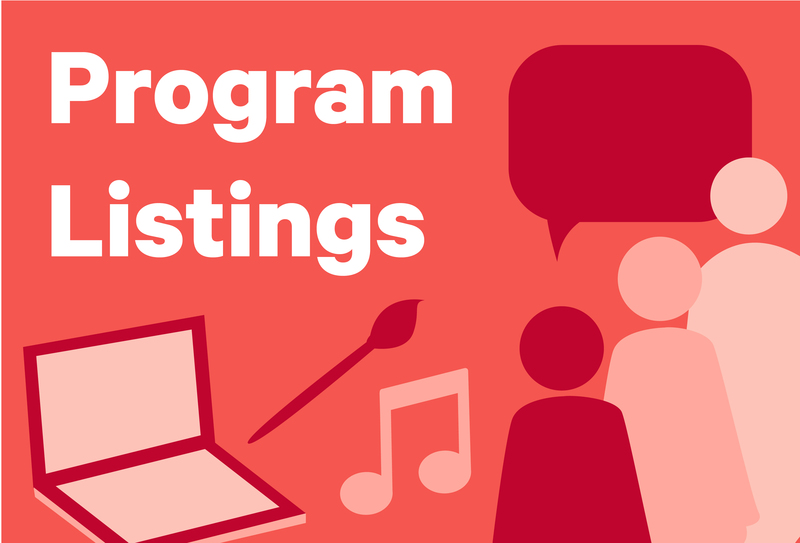 You can download our monthly program listings as they become available. Bookmark this post as your go-to location for listings. We'll keep it up-to-date with the latest files so you can know what's on the go, while you're on the go. Note: It's important to always check back on our website or with your local branch before attending an event listed in your booklet in case of cancellation or important changes. Click a branch below to download the booklet.